The Mexican Association of Real Estate Professionals (AMPI) aims to relate the real estate business with the historic centers of the country, so that they will once again have a residential use and not just a commercial use. The rehabilitation of the Historical Center of Mazatlan is one of the success stories that was exhibited in the ‘Symposium of Historic Centers, history uniting 2018’, which took place in the city from June 7 to 9, and that AMPI hopes to replicate in more cities and municipalities throughout the country. Alejandro Kuri, president of the Association, pointed out that the tendency is to repopulate historic centers to give life 24/7 in areas that are only active during the day time, and many of them abandoned and unpopulated. “This forces authorities to improve infrastructure and generates a virtuous circle that gives value to the buildings of the Historic Centers of towns and cities all over Mexico,” he said. Cristina Velarde, president of the AMPI delegation in Mazatlan, explained that the investment of state, federal and international funds helped the rehabilitation of the drainage and the installation of underground lighting in 28 blocks of the historical center, so the historic buildings acquired greater value. “The rehabilitation of infrastructure can double the value of a property, but it requires political will and federal and / or state funds to carry out these actions,” Kuri said. The president of the AMPI said that the mix between housing, commercial, tourist and corporate segments would help the rehabilitation of historic centers. 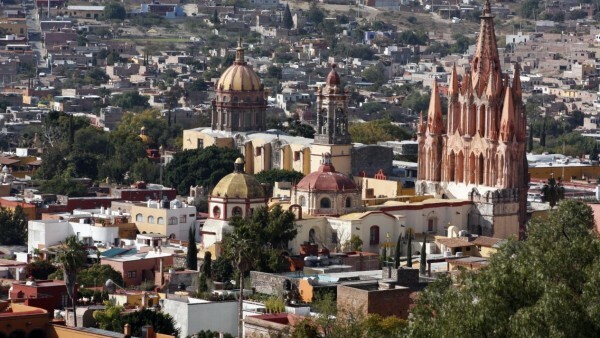 “The authorities of the historic centers of Puebla, San Miguel de Allende, Guadalajara, Zacatecas, Mexico City and Mazatlan shared in this symposium the projects they carry out in their downtwon areas, but there were also representatives of other municipalities, in order to be able to replicate projects in their localities”, Velarde concluded.